Like many industries, construction has changed quite a bit in the past 10 to 15 years. I remember the industry 40 years ago, when I started in it, and it looks nothing like the construction of today. When I talk to contractors who have been in the construction industry as long as I have, we end up reminiscing about how the industry was when we first began. There seems to be a connection as we share with each other how we used to do things—things that this generation today will never experience. We can all agree that technology has and will continue to affect the construction industry in a huge way. This advancement has improved areas such as computers and software, building designs, materials and methods, management, estimating, communications, education, project efficiency, tools and equipment, security and safety, and more. When I started in the construction industry as a carpenter, woodworking was not the only skill a carpenter had to know. During that time, carpentry included hanging doors from scratch, building stairs and cutting roofs, running equipment, shooting elevations, form and pour concrete, welding, roofing, and tile work. Basic drafting skills were needed for drawing details when items needed to be fabricated. Daily job-site logs and time cards were filled out at the end of each day using paper. We knew we were high-tech when a pager was strapped to our tool belt. It was in 1985 when I got my first mobile phone, and it felt like I was in the space age era. That Motorola DynaTAC measured 13 x 1.75 x 3.5 inches and weighed 28 ounces. The inventors of the phone nicknamed it “The Brick.” Contractors relied on word of mouth and printed ads to increase sales. Today, each one of those skill sets has been segmented for a person or contractor to specialize in. They can hone their skills and connect with associations and businesses to keep up on the latest technology and become an expert in that specific portion of the industry. The education and training aspect has shifted. Once someone knows the basics, we put a strong focus on the use of modern tools, equipment, materials, and procedures. The increase in pre-fabrication of building components has saved up to 20% in time on the job site with less material waste and increased efficiency and safety. Computer skills and certifications of safety training are qualifications many employers are requiring from employees. More technology skills and less manually based skills are preferred in many areas in the industry. The young equipment operators are becoming as well versed in using GPS for cuts, slopes, and grades as they are in using it in their car. Software has taken management systems for administrative activities to levels of increasingly detailed accuracy and productivity. Technology has provided instant and accurate communications to all involved. Cameras are used on more job sites for business owners to view site conditions, production, and security at any given time. The world of social media has become a strong focus in networking and marketing. Seeing what this new generation is capable of doing and creating in the construction industry is quite amazing to me. Most of us have adjusted to technology quite well, as it has made our lives much easier. Even with so much change, our roots in the industry still carry a special place in our hearts. That may be why our transit, stair buttons, or that Lincoln buzz box mean a bit more to us now than a tool back then. I bring over 35 years of experience in the construction industry in both field and office positions to Acuity including carpentry, welding, project management, contract negotiation, and much more. Also, I founded my own commercial general contracting firm specializing in building grocery stores. Over the years I’ve worked closely with architects, civil engineers, and developers. I’ve found it instrumental to build solid relationships with all involved in the construction project, including insurance companies. This is why I am here, I want to help you the contractor better understand insurance and help Acuity to offer products and services that meet your unique needs. 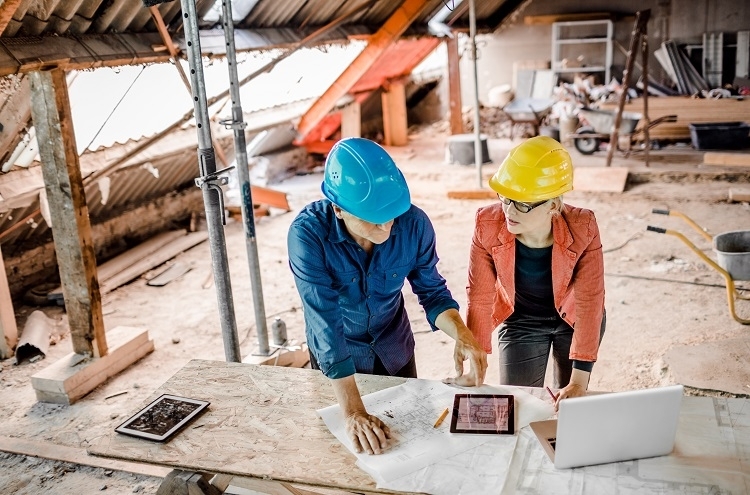 I feel a close connection to construction and with my background I feel that I can make sure contractors have a better insurance experience.